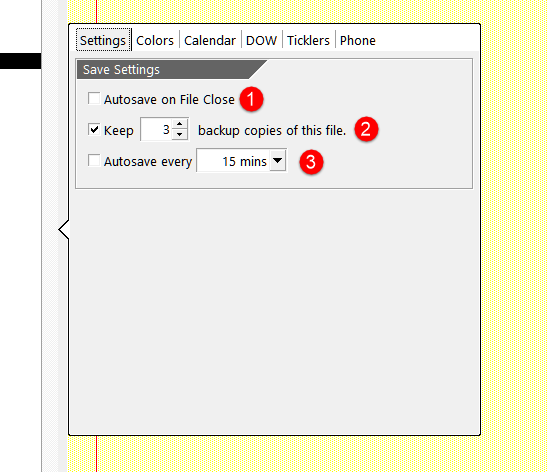 Keep ## number of backups. List of items to set color for. 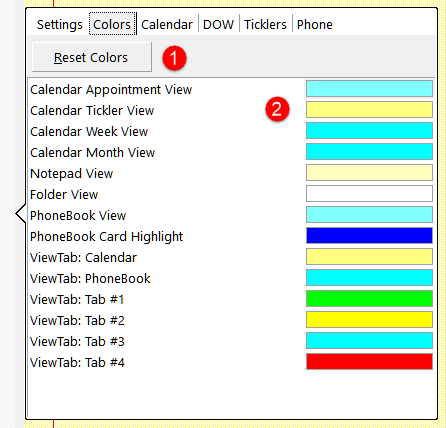 For Toolbar colors, see Toolbar Colors/toolbar-colors. 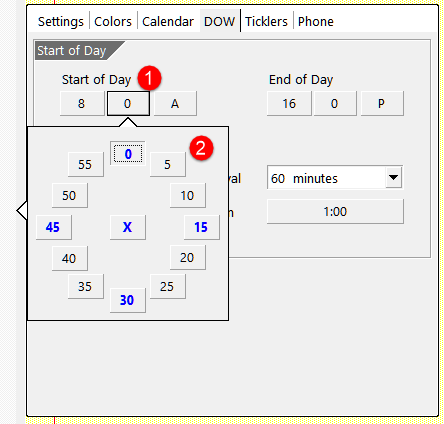 In order to setup Start of day, a radial clock drop-down is displayed. 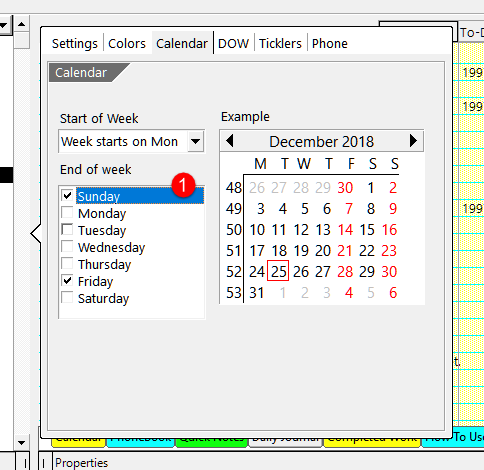 Drop-down clock to select hours. 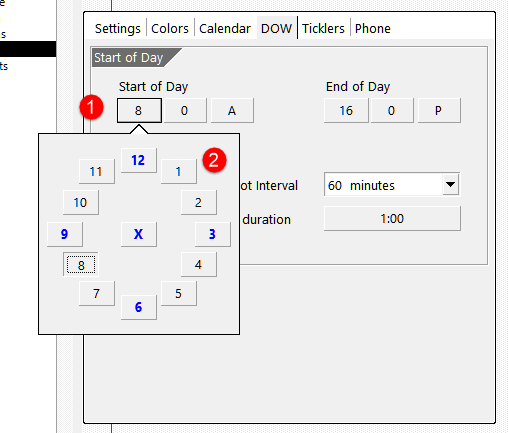 Drop-down clock to select minutes. 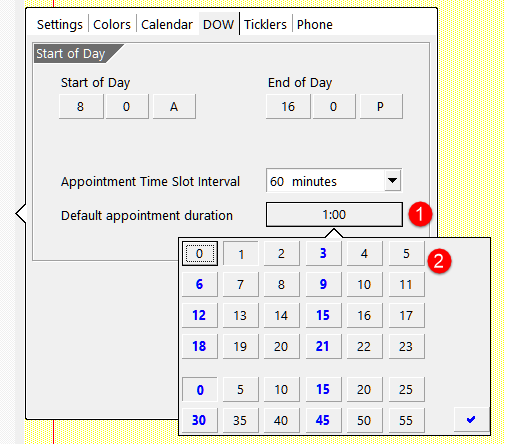 Drop-down time-selector to select hours and minutes. Show or hide ticklers after or before 1 month. Show or hide ticklers after or before 1 day. 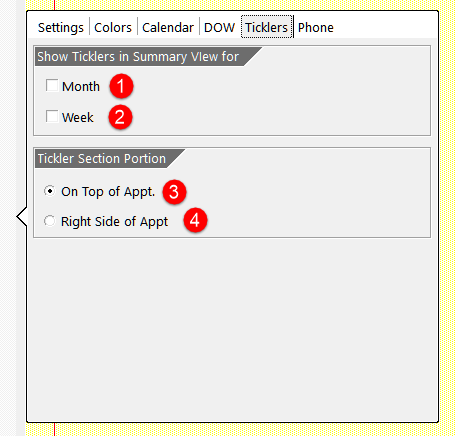 Show the tickler on top of Calendar. 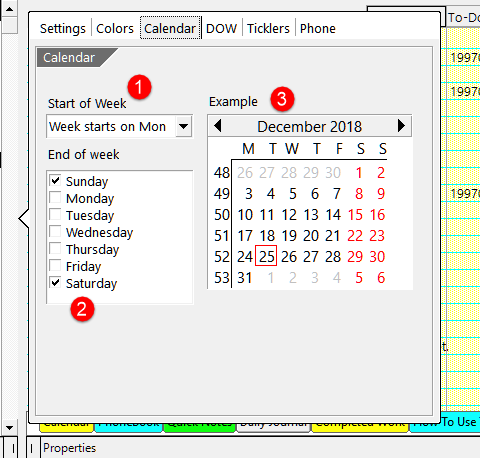 Show the tickler on right-side of Calendar. New Cards use Business Address when printing. 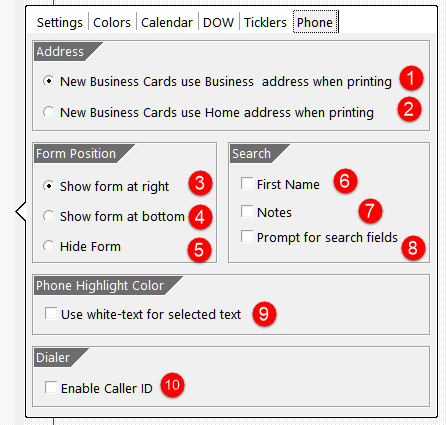 New Cards use Hone Address when printing. Position form at the right. Position form at the bottom. Search for first name only. Use white text for selected text.